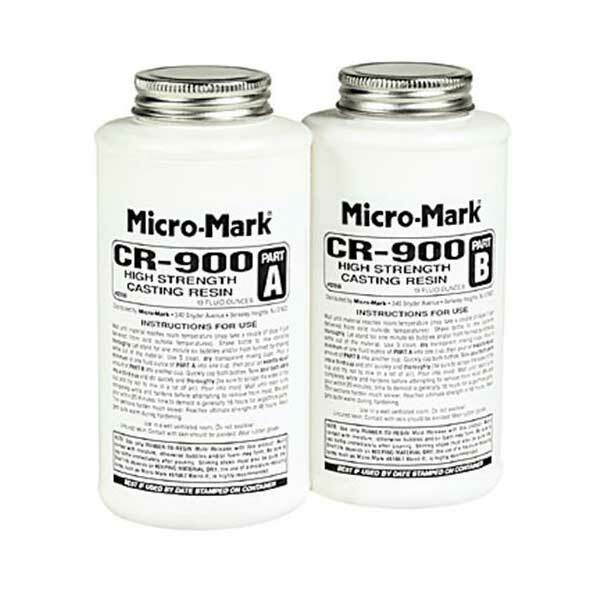 This resin attains extra-high levels of strength and rigidity needed for castings with very thin sections (less than 3/16 inch). Mix equal volumes of parts A and B. 20 minute pot life; demold in 16 hours. Cures to near-white color. Reaches ultimate strength in 48 hours. 2 lb. kit contains approx. 26 fl. oz. total material. WARNING: This product can expose you to chemical including Diisononyl Phthalate (DINP) and Di-isodecyl Phthalate which are known to known to the State of California to cause cancer and birth defects or other reproductive harm. For more information go to www.P65Warnings.ca.gov. Silicone Compatible Modeling Clay, 1 Lb.